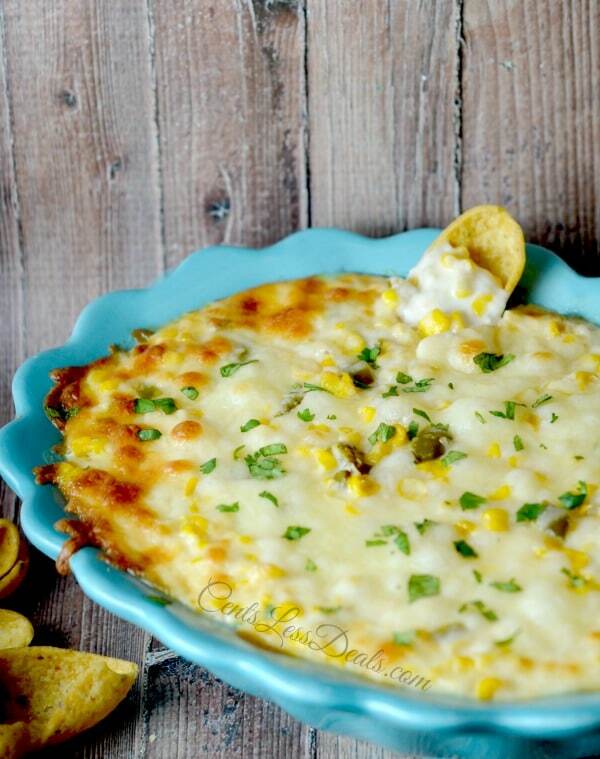 Cream Corn Casserole is a bright and delicious side dish that is so easy to make! 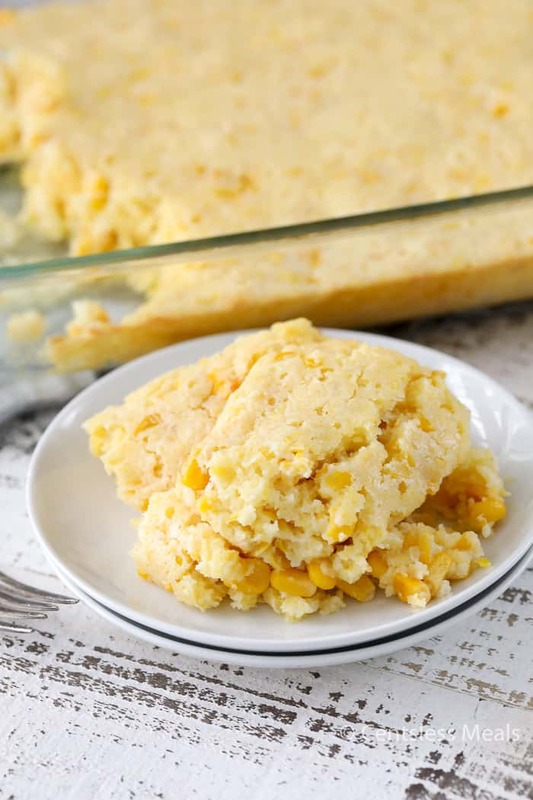 Loaded with sweet corn and corn muffin mix, this soft tender bread-like casserole is going to be a family favorite! 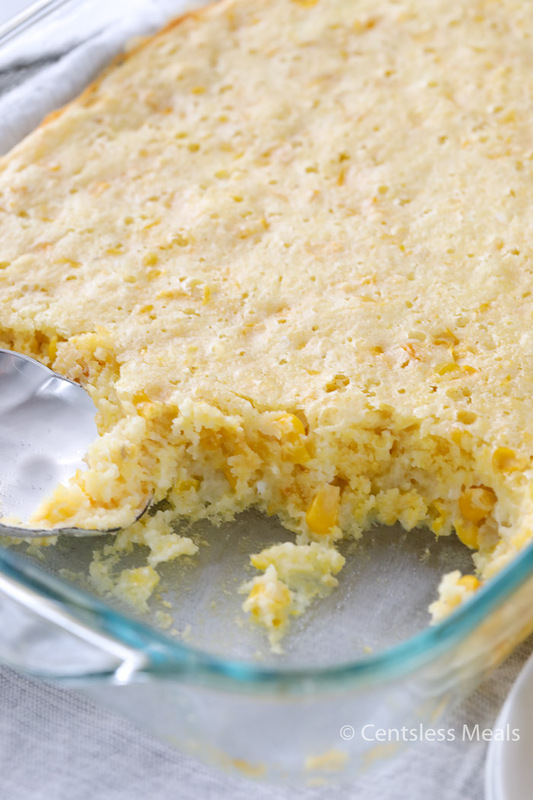 What is the difference between corn bread and corn casserole? 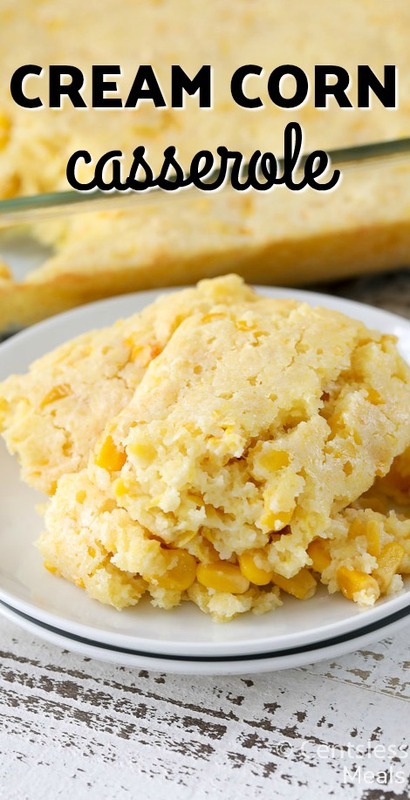 Traditional Corn bread is usually fried or baked, or made into corn cakes. It is often cut up like bread would be and served as a side with a dish such as soup, chili or perhaps BBQ chicken. In some cases corn bread is steamed in which case it is mushy or more pudding like than what is considered to be bread. Corn Casserole is definitely more on the pudding end of the spectrum where it is spooned out instead of cut up. It is so soft and wonderfully tasty, served by heaping spoonfuls onto your plate. Cream Corn Casserole is a perfect addition to your Thanksgiving menu! 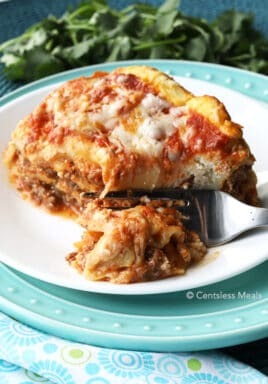 It brings a delightful color, interesting texture and delicious taste to your plate! 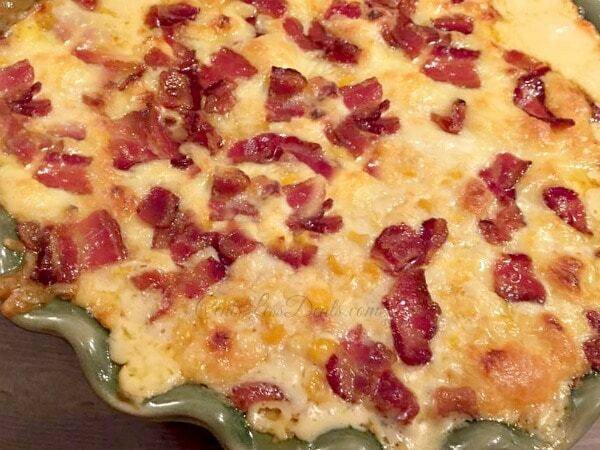 For those of you who are not turkey stuffing fans, this Cream Corn Corn casserole is the perfect substitute! Or simply add it along with all your traditional favorites, just be sure to save a bit of room on your plate for a luscious spoonful! 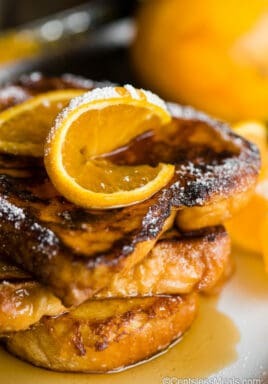 You just cannot beat the simplicity of this recipe! 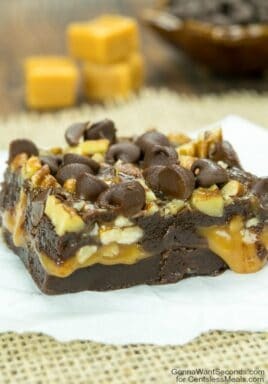 Mix your ingredients together, pour into a greased pan and bake! If you want to make clean up even easier, line your baking dish with foil and spray with cooking spray. 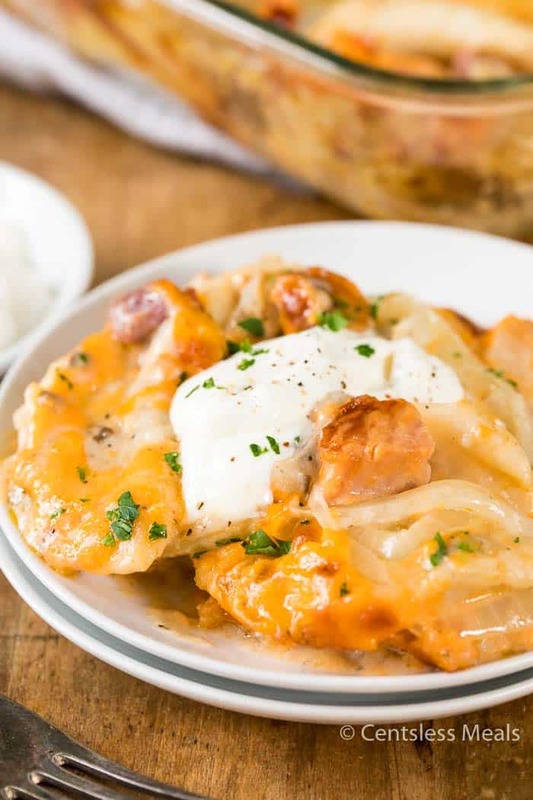 At the end of the evening you can use the foil to store any left over casserole in the fridge, or if it’s all gone then crumple the foil and toss in the garbage! Either way, no washing needed! 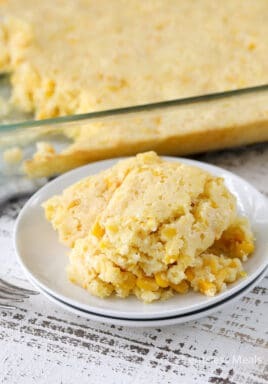 This recipe calls for a box of Jiffy Corn Mix, however if you have a scratch corn bread recipe that you prefer then please feel free to substitute if you like. You may want to make this recipe a little spicier by adding diced jalepeno peppers! Not only would it jazz it up, it would be so colorful too! We sometimes add a sprinkle of cheddar cheese on top too! 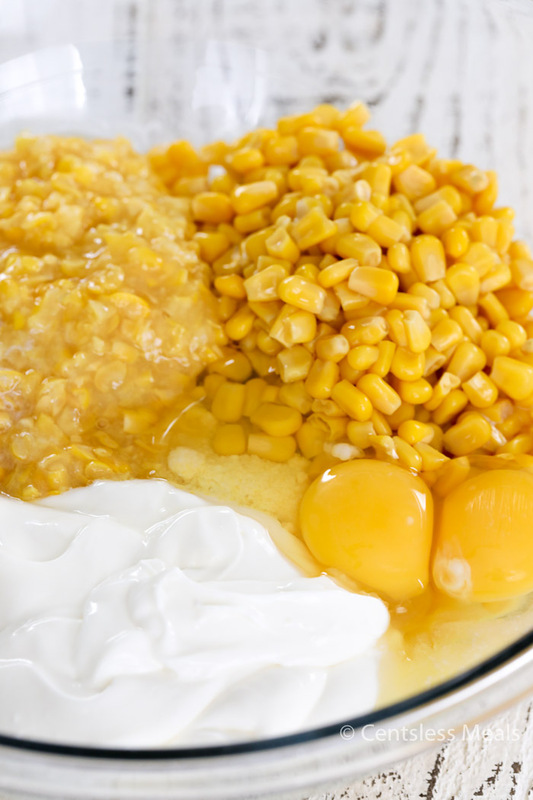 If you’re looking for the perfect dish for your next potluck or just an interesting side dish for your next meal, you’ll love this Creamy Corn Casserole! Mix all ingredients together and spread evenly into greased pan. Bake for 40 minutes until done.